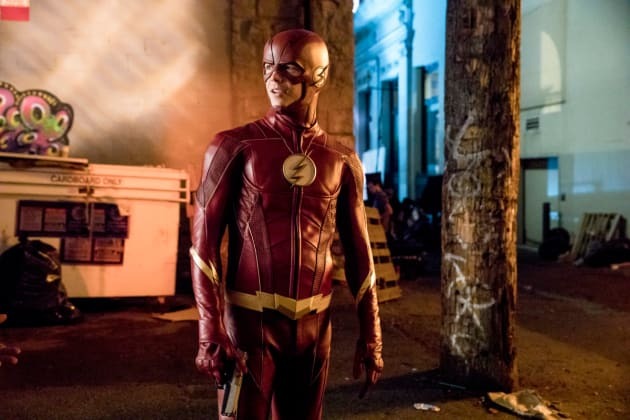 Even though we're four episodes in...Barry's new suit still puts a big smile on our faces. 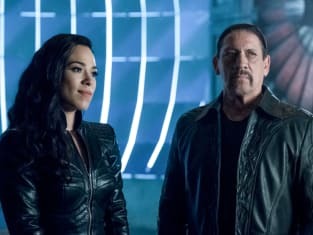 The Flash Season 4 Episode 4: "Elongated Journey Into Night"
The Flash Review: Behold The Elongated Man! Joe: That guy has not changed a bit. Barry: Really, did you expect him to? Joe: [Sees Ralph's stretch] Guess he was on that bus. Permalink: Guess he was on that bus. Ralph: Do I get a cool superhero name? Barry: What do you think about...Plastic Man? Ralph: I think that is the dumbest name I have ever heard. Barry: Yeah, Cisco comes up with the names. Permalink: Yeah, Cisco comes up with the names.